How Often Should I Clean The Carpets At My Business? How Often Should I clean My Commercial Carpets? With the constant hustle and bustle of your business, your carpets invariably become laden with grime and dirt. The question for many business owners is not should they have their carpets cleaned, but rather how often should they have their carpets cleaned. As a local Denver commercial carpet cleaning company, we have years of experience aiding businesses in ensuring their floors are clean and presentable. The frequency with which you should clean your commercial carpets is dependent upon a few factors. Read on to learn more about determining a proper carpet cleaning schedule for your business. Office Buildings: Many offices feature durable, neutrally colored carpets. The carpet is usually designed to show as little dirt and wear as possible. However, just because you do not see the dirt accumulation does not mean it isn’t taking place. Schedule professional office carpet cleaning at least once a year for small offices with few occupants, like a Dentist office. Offices with more than 50 people should be cleaned at least twice a year. Those with over 100 or 200 people should look to quarterly carpet cleaning. You can increase this frequency, or add in periodic traffic lane cleanings if you operate a business with a high level of foot traffic. Restaurants: If you have carpeting in your dining area, you need to schedule frequent restaurant carpet cleaning. Food and drinks can stain carpet, and the longer you leave these substances to set the harder the stain removal process will be. Clean the carpet every day with a vacuum and shoot for a monthly professional carpet cleaning. The buildup of food particles can not only leave unsightly stains, it can lead to unsavory odors, which will not be conducive to pleasant dining. 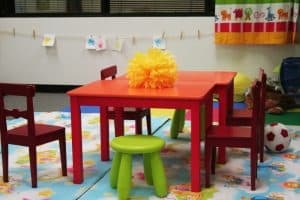 Child Care Facilities: Many daycares and schools feature brightly colored, soft carpets. These carpets should be cleaned with a high level of frequency. We recommend setting up a quarterly carpet cleaning schedule. Child care facilities are prone to harboring a large number of germs and bacteria. In order to protect the children and provide a clean space to play, frequent school carpet cleaning is needed. 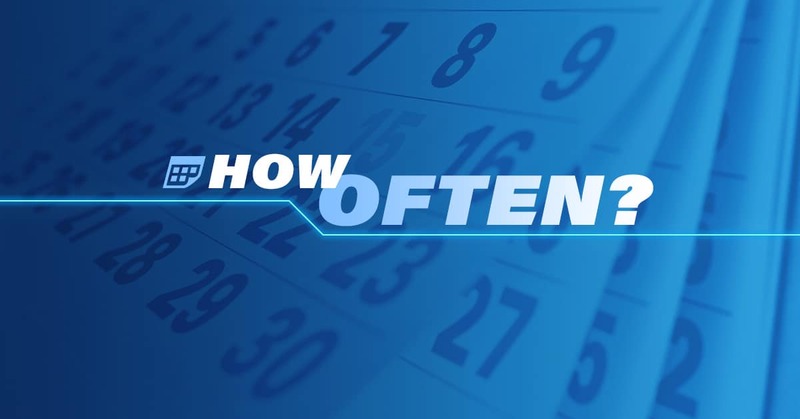 There is no one-size-fits-all solution for creating a carpet cleaning schedule. One major factor that will determine how often your carpets need to be cleaned relates to the amount of foot traffic your space sees. For example, it might not be necessary to clean your entire building’s carpet every month, but certain areas might need the extra TLC. Entryways and hallways are particularly susceptible to the aggregation of dirt and debris. You can create two different schedules for your high traffic areas and your low traffic areas. If you are not certain how frequently you need to have your commercial carpets cleaned, feel free to reach out to our team. We will be happy to come by and provide a quote as well as a customized plan with our recommendations. Reach out today to schedule carpet cleaning in Denver or the surrounding area.